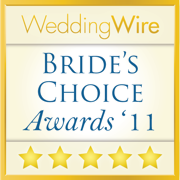 Ablitt’s Fine Cleaners are wedding gown specialists in Santa Barbara, California. This family-owned company has three generations of experience caring for wedding gowns, and will give your dress the special attention it deserves to have it picture-ready for your big day. Ablitt’s Fine Cleaners are also an eco-friendly business, and take care of the planet and your dress by using a GreenEarth Cleaning system, less energy and water than traditional dry cleaners, and multiple recycling programs. This Certified Wedding Dress Specialist will have your dress pressed with meticulous care and carefully cleaned with gentle products before your wedding day. After your wedding, they will clean it with the same care and love, and can also preserve your gown for you to cherish forever. Their preservation system will allow your dress to be used as an heirloom by storing it in an air-tight wedding chest that will keep it looking just as beautiful as it did on your wedding day. Excellent work! Very nicely done! Read more excellent work!!! Very nicely done!! Great work! Very creative!! Read more great work!!! very creative!! !! Excellent service. And you pay for it but, who wouldn't pay that extra amount to have it done perfectly, with personal attention to detail. Highly recommend! Read more excellent service. and you pay for it but, who wouldn't pay that extra amount to have it done perfectly, with personal attention to detail. highly recommend! I have been an Ablitt's client for 20 years, and there's a good reason for that. : they are fantastic! I have never had a problem with anything they have cleaned. I would totally trust them with any bridal wear. If you are getting married in Santa Barbara you should get to know the professionals at Ablitts.